: My sister had his albums and that's all she listened to. His music grew on me and that's all I wanted to listen to. : His songs...his looks...everything about him!! : I would be so honored if he could sing the "Hawaiian Wedding Song" at my wedding. : Blue Hawaii for movie and for songs...too many favorites but I think, I like his rendition of "My Way". : I like the movie cause it makes me homesick and the song makes me cry. : His MOTHER!!! She meant the world to him. : I was driving on the freeway, on my way to pick up my husband from work when they interrupted the radio station with the news. I was so devasted and thought I heard the news wrong. I had to pull over to the side and listen to radio station again. It was repeated several times over. I did not want to believe it!! : He was one of a kind and in every sense of the word, he was the KING of rock and roll with a style of his own that will live on forever. : Suggestions? NONE...but please DON'T ever let this site get lost or fall to the wayside. This is all some of us have to hold on to his memory. Thank you. Firstly Kandi thank you for your valued comments and sharing your memories with us. Like yourself and many others I am a devoted fan, honoring his memory with a little extra TLC. Elvis was one of the kind in many ways, he has touched us all in a very special way. 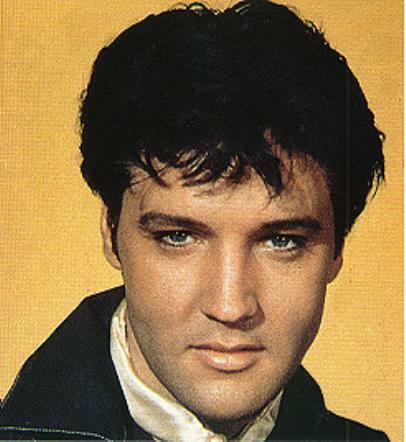 Elvis will FOREVER be `King of Rock And Roll`.